You can create multiple profiles in the left panel. Right panel shows the button-key assignments for the selected profile. 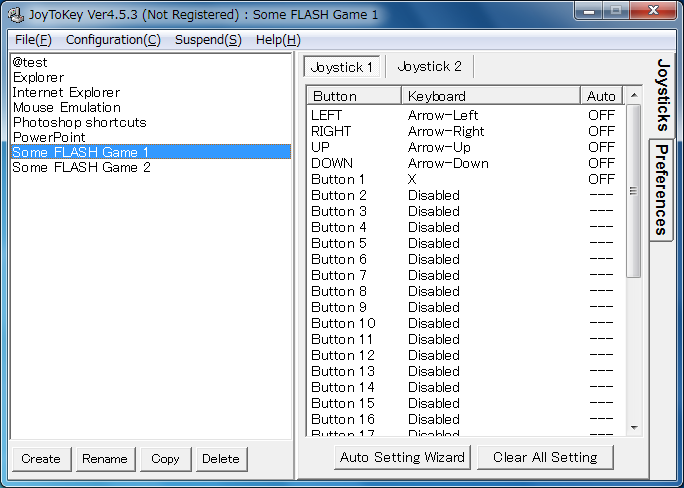 For each joystick button, you can assign a keyboard or a mouse function. 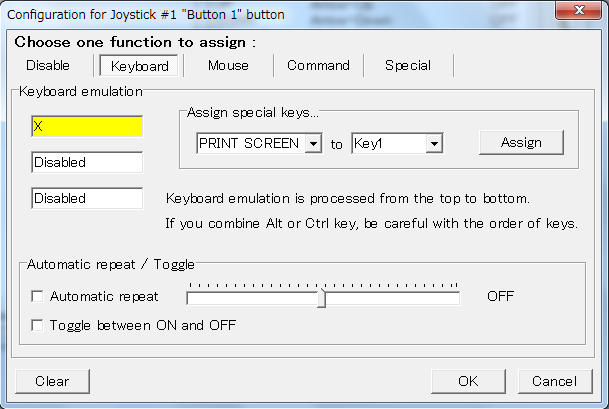 For keyboard emulation, it can be a single keyboard input ('X' key in the example below, or it can be a combination of multiple keys like Alt+F4, or it can be a special purpose key such as "PRINT SCREEN" key. 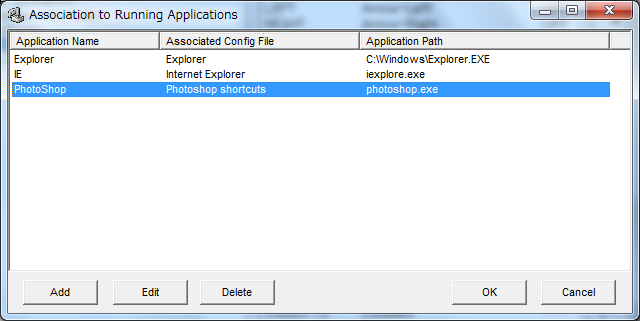 Similarly, mouse emulation mode will enable you to assign mouse cursor or wheel or left/middle/right click inputs. 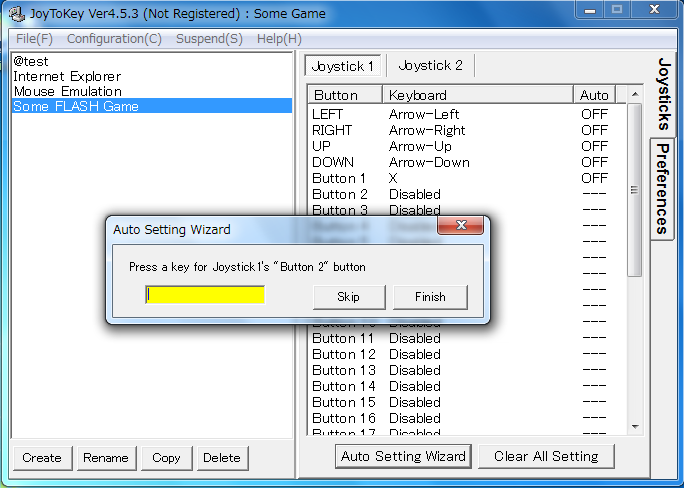 Auto Setting Wizard will help you to finish basic key assignments in less than a minute!